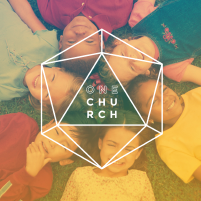 This past weekend we concluded the “One Church” series here at Eastbrook Church. It was such a joy for me to have some good friends share the Scripture with us during these past weeks. The irony of this series is that originally it was not planned to theme around unity in God’s people, but slowly morphed into that theme as each of the pastors shared what they were going to speak about. I really sensed the Holy Spirit moving in our midst as each week, one of these outstanding pastors shared with us from the Scripture.